I can’t believe you are six months old today. Without a doubt this has been the best six months of my life. When your mom and I got married I couldn’t imagine that it was possible to love anyone else the way I love her, but Noah you have changed everything I’ve known about love. I love you in the deepest part of my soul, there are no words to describe it. I was reading back in my journal tonight and on Dec 15 2010 at 2:45 am (almost the time it is now) I wrote about all of the emotions I was feeling. It was just a few hours before we would leave to the hospital to welcome you into the world. I couldn’t sleep. I was excited, nervous, scared, anxious, and a million other emotions. The morning couldn’t come fast enough. We got to the hospital and minutes felt like days. I just wanted to meet you! After a day of waiting, I finally got to see you. I’ll never forget the first time they placed you in my hands. You were wrapped up in a little blue blanket, and a blue and pink beanie on your head. I held you, and I wept. You were perfect. You were my son. It was love at first sight. They took you away and didn’t you bring you back. We didn’t know why (at least I didn’t.) I was so excited! I wanted to see you. They told us they were cleaning you up and you’d be with us any second. Finally our Doctor came in and said you were born with Down Syndrome. I didn’t know what Down Syndrome was. I was scared. I cried. A lot. I was so worried. I didn’t know if you’d ever know me. I didn’t know if we’d every play together. Part of my weeping was for you. For what I thought you were going to miss out on. Boy, I was so wrong on all of that. Turns out, you didn’t have GA-1. Now we had to work on your heart, ears, eyes, and a bunch of other “stuff.” In fact tomorrow we have your six month check up, and we get the results of your CBC test. The thought of you possibly having leukemia scares me, but even if you do; God is in control. Noah, I love you so much. I’ve been waiting my entire life for you. I can’t wait to study The Bible with you, and to tell you about how awesome Jesus is. That is one of the coolest things a dad can do with his son. Mine never did that with me, I wish he would have. You don’t have to worry about that though. Trust me. I’m sorry you’re birthday is so close to Christmas. Your friends will probably be out of town during your birthday. That’s why you’re going to get two birthdays! Yelp, that’s right – two birthdays! One on your “normal” birthday, Dec 15; then another on your half-birthday, Jun 15! So consider this letter your birthday present in that I’m making it official – two birthdays! I bet you don’t have any friends whose parents throw them a half-birthday party! So you win! Noah, I’m a first time dad so I’m not sure how good I’m going to do at this whole being a dad thing.. I’m probably going to mess up at this sometimes a lot of the time. So go easy on me, ok. My heart can’t take much of you being sad or mad at me, ok. I hope that even at six months old you know how much I love you. I’m so thankful for you. You have changed my entire life. I can’t stop thinking about you, playing with you, praying with you, looking at you. You’re my son. Happy Half Birthday to you Noah. The last six months have been a present from you, to me. Thank you for coming into the world and being my son. For making my life better. Your life is a gift from God to us. I am so proud of you. You have to work so much harder then all of the other “typical” kids. It doesn’t seem fair, but you handle it so well. I can’t get over how radiant your smile is, and how your face lights up every time I pick you up. I LOVE IT!!! You were born just perfect for me. You are just what I wanted in a son; in fact better. I tell your mom often how you are way cooler, cuter, loving and funnier, then I would have ever imagined. I look forward to of our life together. Noah, you are the best son a dad could ask for. Thank you for letting me be your dad. I love you. Omg! Could that baby be any cuter???!! Happy half birthday, little man! You clearly bring your parents so much joy. And, you are so stinkin’ adorable!!! Thanks! We agree with you. He is tons of fun! Hi Noah’s dad! I have LOVED looking through this wonderful site, thnak you so much for sharing Noah with us. My 1 year ols son, Isaac, has Down. I have a FB fan page for him “Eye on Isaac, Genetically Enhanced w/ Down syndrome.” You and I have the same outlook about our precious children! GBU! Thanks so much for your comment! I’m excited to check our your Facebook page! 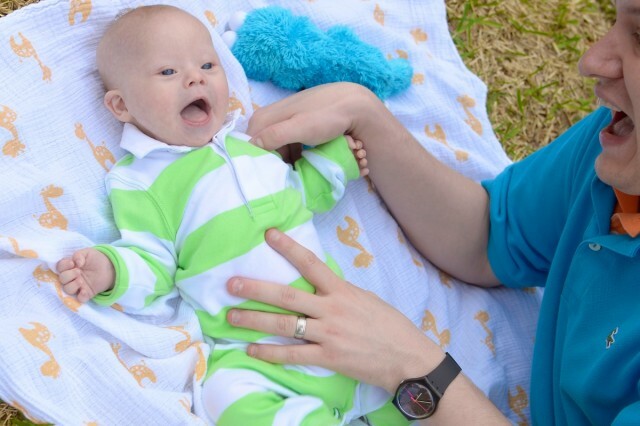 We do a daily one minute video about our son who has born with down syndrome. 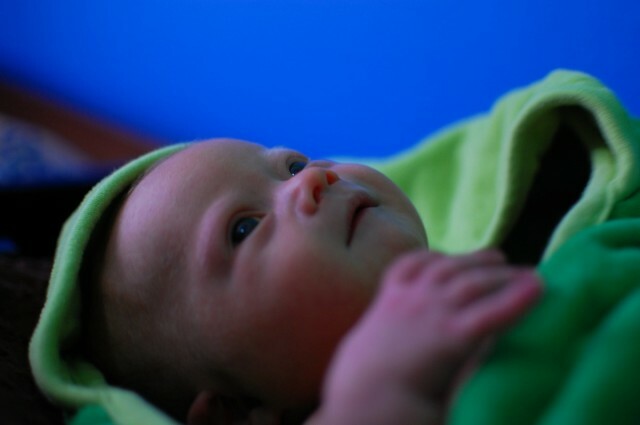 We hope to give the world into what life is like raising a child with down syndrome. It’s been a lot of fun! your an awesome dad, i'm sure u will be great! I’m reading this on the day my son Phineas (who also has DS) is turning six months old. Thank you for this—-it’s absolutely beautiful, and echoes how Phineas’s father and I feel!